The African Union headquarters in Addis Ababa is a shiny spaceship-like structure that glistens in the afternoon sun. With its accompanying skyscraper, it stands out in the Ethiopian capital. Greetings in Mandarin welcome visitors as they enter the lifts, and the plastic palm trees bear the logos of the China Development Bank. Everywhere, there are small indications that the building was made possible through Chinese financial aid. In 2006, Beijing pledged $200m to build the headquarters. Completed in 2012, everything was custom-built by the Chinese – including a state-of-the-art computer system. For several years, the building stood as a proud testament to ever-closer ties between China and Africa. Trade has rocketed over the past two decades, growing by about 20% a year, according to international consultancy McKinsey. China is Africa’s largest economic partner. But in January 2018, French newspaper Le Monde Afrique dropped a bombshell. It reported that the AU’s computer system had been compromised. 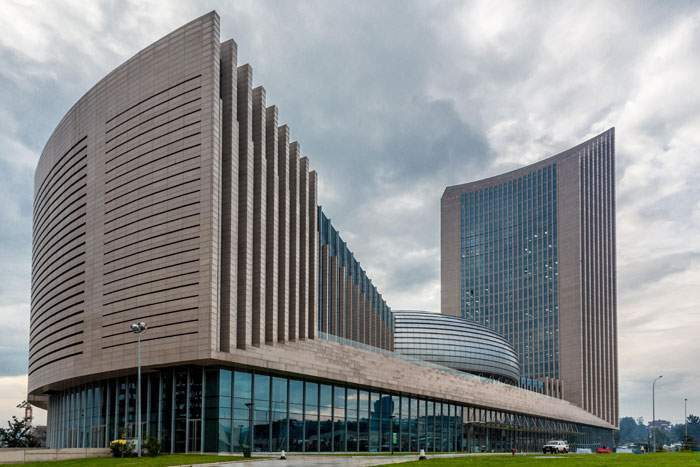 The newspaper, citing multiple sources, said that for five years, between the hours of midnight and 0200, data from the AU’s servers was transferred more than 8,000km away – to servers in Shanghai. This had allegedly continued for 1,825 days in a row. Le Monde Afrique reported that it had come to light in 2017, when a conscientious scientist working for the AU recorded an unusually high amount of computer activity on its servers during hours when the offices would have been deserted. It was also reported that microphones and listening devices had been discovered in the walls and desks of the building, following a sweep for bugs. Both AU and Chinese officials publicly condemned the report as false and sensationalist – an attempt by the Western media to damage relations between a more assertive China and an increasingly independent Africa. But Le Monde Afrique said that AU officials had privately expressed concerns about just how dependent they were on Chinese aid – and what the consequences of that could be. In the midst of all of this, one fact remained largely unreported. 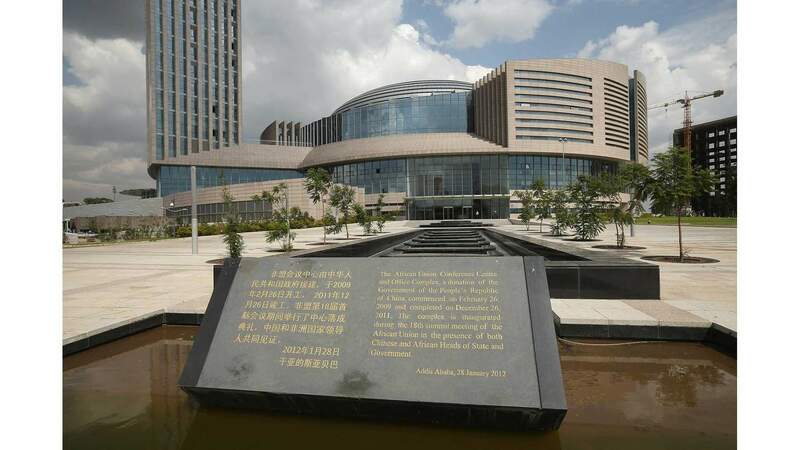 The main supplier of information and communication technology systems to the AU headquarters was China’s best-known telecoms equipment company – Huawei. The company says it had “nothing” to do with any alleged breach. 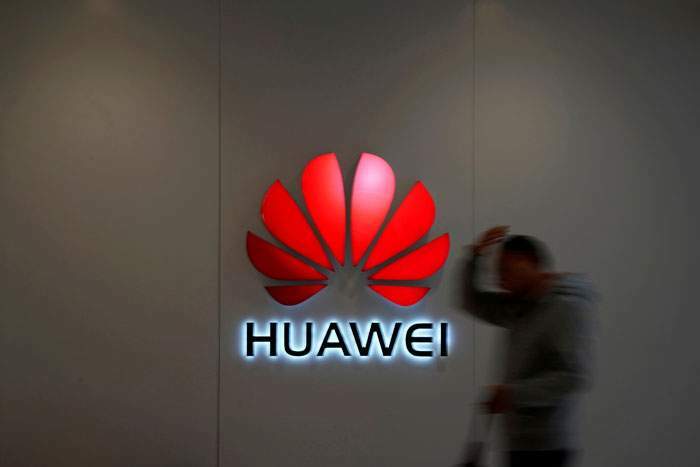 Huawei “served as the key ICT provider inside the AU’s headquarters”, said Danielle Cave of the Australian Strategic Policy Institute, in a review of the alleged incident. There is no evidence to indicate that Huawei’s telecoms network equipment was ever used by the Chinese government – or anyone else – to gain access to the data of their customers. Indeed, no-one has ever gone on record to confirm that the AU system was compromised in the first place. But these reports played into years of suspicions about Huawei – that a large Chinese company might find itself unduly influenced by the Chinese government. 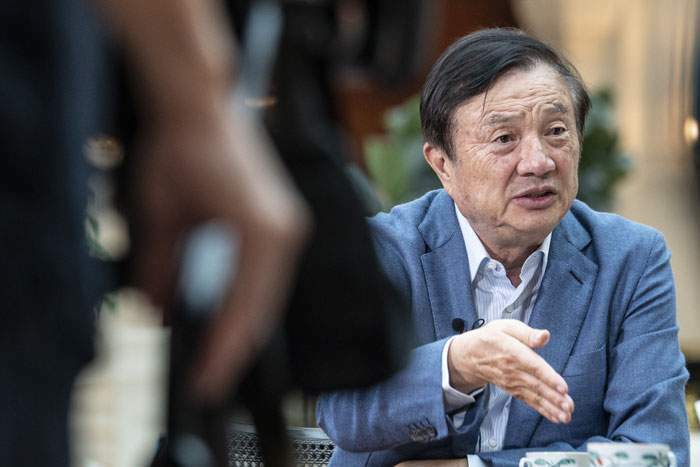 Huawei’s founder and chairman Ren Zhengfei is reminiscing to the BBC about the origins of the world’s second-biggest smartphone firm, while sitting in the Huawei headquarters in Shenzhen – a symbol of the success that he’s worked his whole lifetime for. A long marbled staircase, covered in plush red carpet, greets you as you first walk in. At the top of the stairs, a giant painting depicts a traditional Chinese New Year scene. 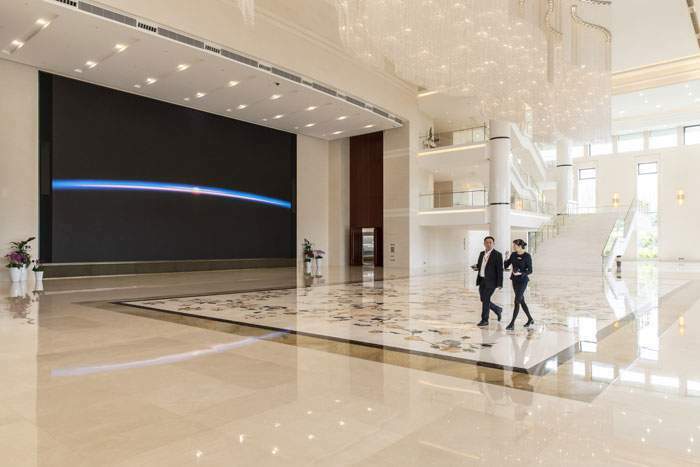 A few kilometres away in Dongguan, Huawei’s latest campus is even more eye-catching. The site – designed to accommodate the company’s 25,000 R&D staff – comprises 12 “villages”, each of which recreates the architecture of a different European city, among them Paris, Bologna and Granada. It’s as if Silicon Valley had been re-imagined by Walt Disney. Long corridors of Roman pillars and picturesque French cafes adorn the campus, with a train connecting the different areas, running through manicured gardens and past an artificial lake. Ren was born in 1944 in Southern China – a tumultuous, chaotic place, one of the poorest regions in an already destitute country. For a long time, hardship was all he ever knew. He was from a family of seven children. “They were very poor,” says David De Cremer, who has co-written a book on Ren and Huawei. To escape that life of poverty and drudgery, Ren did what many young Chinese men of that era did. He joined the army. He left the military in 1983 when China began to downsize its forces, and went into the electronics business. By his own admission, he wasn’t a great businessman at first. But he was quick to learn, and was a keen student of Western business practices and European history. 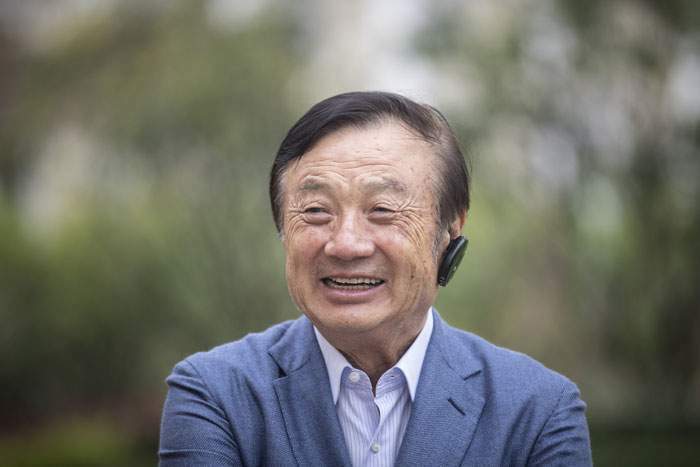 Five years later, he founded Huawei – the name can be translated as “splendid achievement” or “China is able” – to sell simple telecoms equipment to the rural Chinese market. Within a few years, Huawei was developing and producing the equipment itself. Sometime in the early 90s, Huawei won a government contract to provide telecoms equipment for the People’s Liberation Army. By 1995, the company was generating sales of around US$220,000, mainly from selling to the rural market. The following year Huawei was given the status of a Chinese “national champion”. In practice, this meant the government closed the market to foreign competition. At a time when China’s economy was growing by an average of 10% per year, this was no small advantage. But it was only when Huawei started to expand overseas in 2000, that it really saw its sales soar. 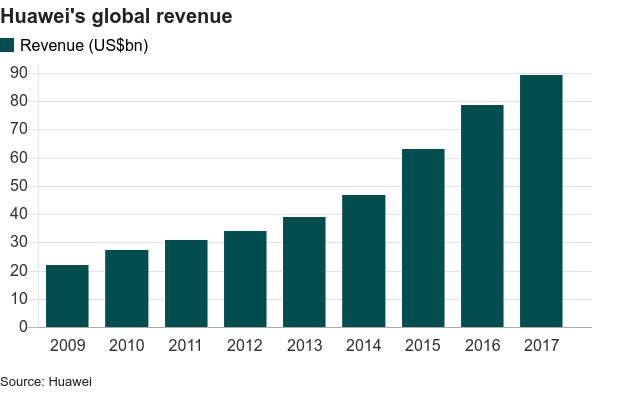 In 2002, Huawei made US$552m from its international market sales. By 2005 its international market contracts exceeded its domestic business for the first time. Ren’s early days in business instilled in him a desire to protect his company from the whims and fancies of the stock market. Huawei is privately held and employee-owned. This gave Ren the power to plough more money back into research and development. 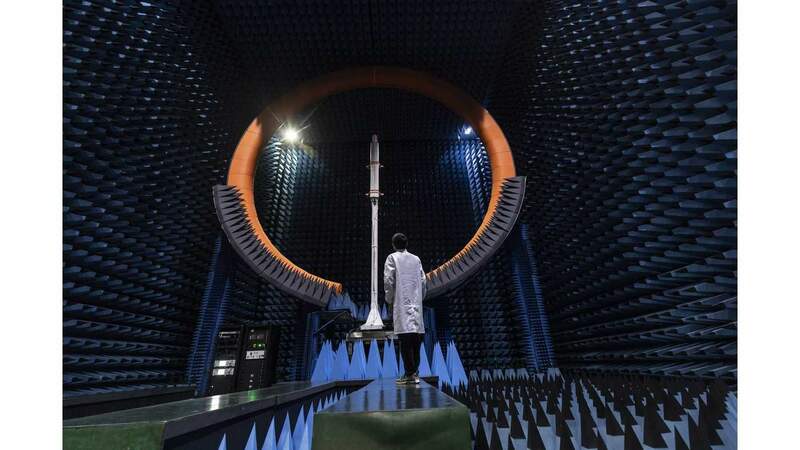 Each year, Huawei spends US$20bn on R&D – one of the biggest such budgets in the world. And that’s exactly what happened. In fact, those ambitions were surpassed. Today, Huawei is the world’s biggest seller of network telecommunications equipment. From aspiring to be a company like Apple, it now sells more smartphones than Apple. But shadows have continued to loom over Huawei’s international success. 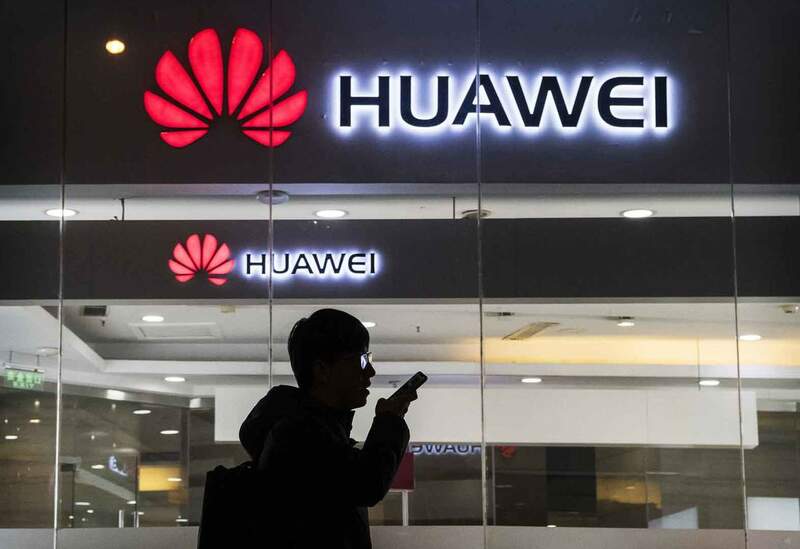 Ren and Huawei’s links to the Chinese Communist Party have raised suspicions that the company owes its meteoric rise to its powerful political connections in China. The US has accused Huawei of being a tool of the Chinese government. It was 1 December 2018. 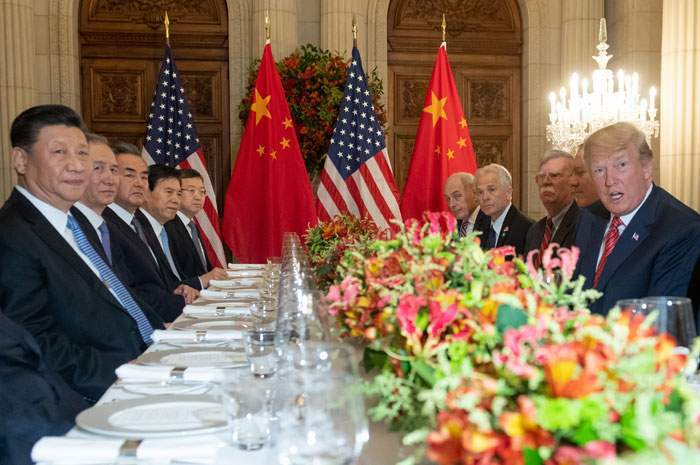 US President Donald Trump and China’s President Xi Jinping were dining on grilled sirloin followed by caramel rolled pancakes at the G20 summit in Buenos Aires. They had a lot to discuss. The US and China were in the middle of a trade war – imposing tariffs on each other’s goods – and growth forecasts for both countries had recently been cut as a result. This was adding to the fear of a slowing global economy. But thousands of kilometres north in Canada, an arrest was taking place that would throw doubt on this rapprochement. 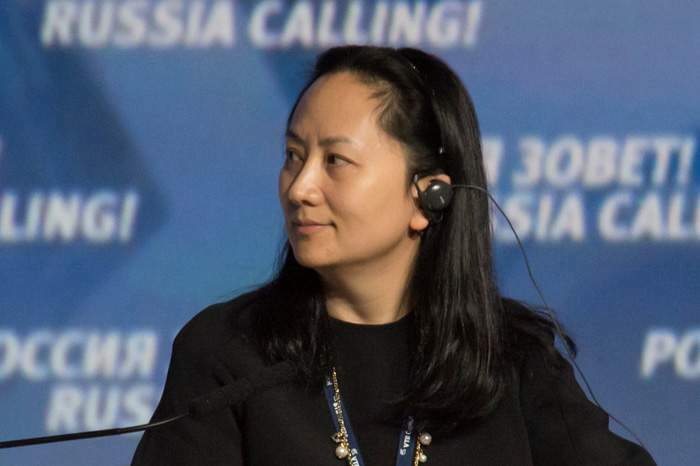 Meng Wanzhou, Huawei’s chief financial officer and Ren Zhengfei’s eldest daughter, had been detained by Canadian officials while transferring between flights at Vancouver airport. The arrest had come at the request of the US, who accused her of breaking sanctions against Iran. Huawei’s problems were just beginning. Nearly two months later, the US Department of Justice filed two indictments against Huawei and Ms Meng. Under the first indictment, Huawei and Ms Meng were charged with misleading banks and the US government about their business in Iran. 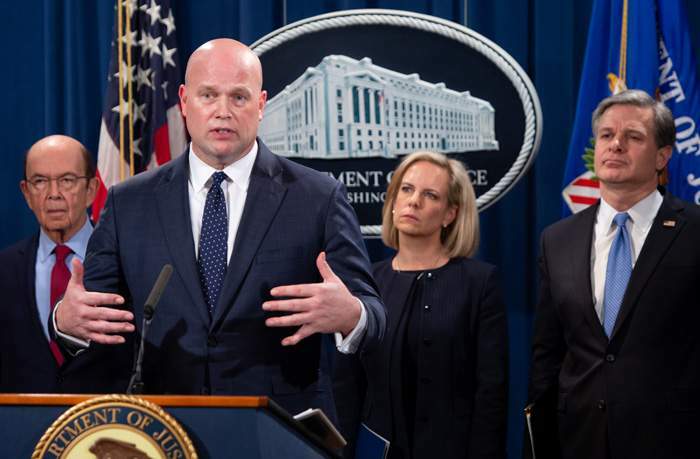 The second indictment – against Huawei – involved criminal charges including obstruction of justice and the attempted theft of trade secrets. Both Huawei and Ms Meng deny the charges. The charge of stealing trade secrets centres on a robotic tool – developed by T-Mobile – known as Tappy. According to legal documents, Huawei had tried to buy Tappy, a device which mimicked human fingers by tapping mobile phone screens rapidly to test responsiveness. T-Mobile was in partnership with Huawei at the time, but it rebuffed the Chinese firm’s offers, fearing it would use the technology to make phones for T-Mobile’s competitors. It’s alleged that one of Huawei’s US employees then smuggled Tappy’s robotic arm into his satchel so that he could send its details to colleagues in China. After the alleged theft was discovered, the Huawei employee claimed that the arm had mistakenly fallen into his bag. Huawei claimed that the employee had been acting alone, and the case was settled out of court in 2014. 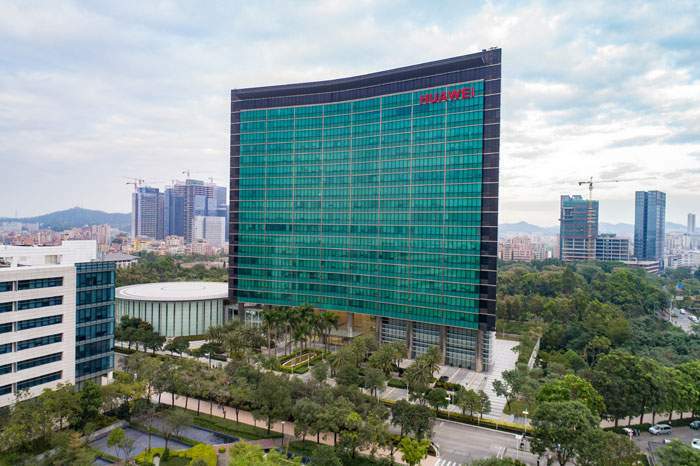 But the latest case is built on email trails between managers in China and the company’s US employees, linking Huawei management to the alleged theft. The indictment also details evidence of a bonus scheme from 2013, offering Huawei employees financial rewards for stealing confidential information from competitors. Huawei has denied any such scheme exists. This is not the first time that Huawei has been accused of stealing trade secrets. Over the years companies like Cisco, Nortel and Motorola have all pointed the finger at the Chinese firm. But US fears about Huawei are about much more than industrial espionage. For more than a decade, the US government has seen the company as little more than an arm of the Chinese Communist Party. These concerns have been brought to the fore with the advent of “fifth generation” or 5G mobile internet, which promises download speeds 10 or 20 times faster than at present, and much greater connectivity between devices. 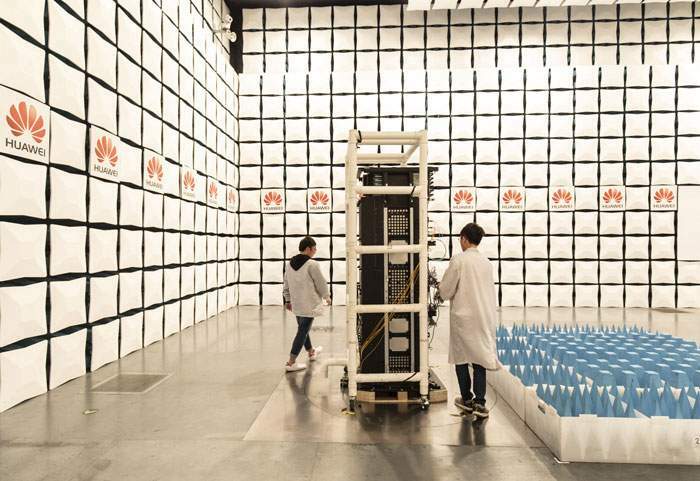 As the world’s biggest telecoms infrastructure provider, Huawei is one of the companies best placed to build new 5G networks. 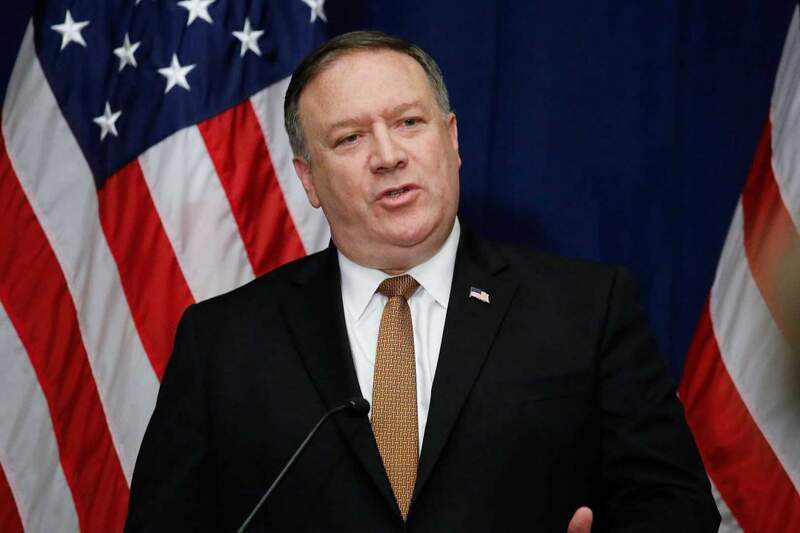 But the US has warned its intelligence partners that awarding contracts to Huawei would be tantamount to allowing the Chinese spy on them. The UK, Germany and Canada are reviewing whether Huawei’s products pose a security threat. Australia went a step further last year, and banned equipment suppliers “likely to be subject to extrajudicial directions from a foreign government”. 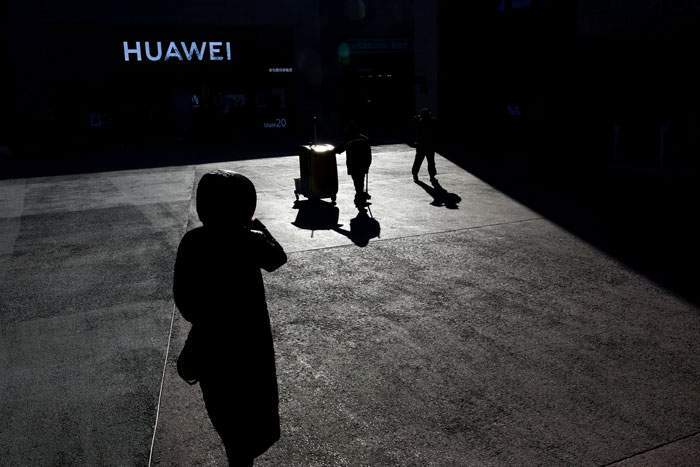 Huawei was not mentioned by name, but Danielle Cave of the Australian Strategic Policy Institute says the company posed a national security risk because of its government links. 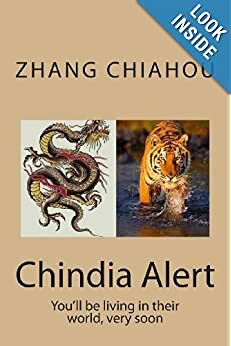 She cites an article in Chinese law that makes it impossible for any company to refuse to help the Chinese Communist Party in intelligence gathering. “Admittedly, what is missing from this debate is the smoking gun,” she says. For his part, Ren says that Huawei’s resources have never and would never be used to spy for the Chinese government. “The Chinese government has clearly said that it won’t ask companies to install backdoors,” he says. A “backdoor” is a term used to describe a secret entry point in software or a computer system that gives access to the person or entity who installed it to the inner workings of the system. 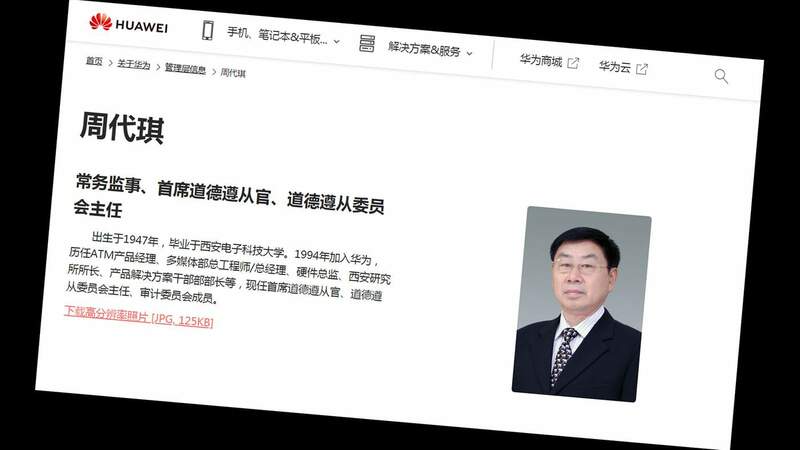 Zhou Daiqi is Huawei’s chief ethics and compliance officer. He’s been with the company for nearly 25 years, in a number of different positions – chief engineer, director of the hardware department, head of the research centre in Xi’an, according to his biography on the company’s website. He is also understood to combine his high-ranking executive duties with another role – party secretary of Huawei’s Communist Party committee. All companies in China are required by law to have a Communist Party committee. The official line is that they exist to ensure that employees uphold the country’s moral and social values. Representatives of the committee are also often tasked with helping workers with financial problems. But critics of China’s one-party system argue that they allow the state to exert control on corporate China. And they say the level of this control has increased in recent years. Ren, however, argues that the role of Huawei’s Communist Party committee is far less important than many in the West believe. In China, most chief executives are Communist Party members. 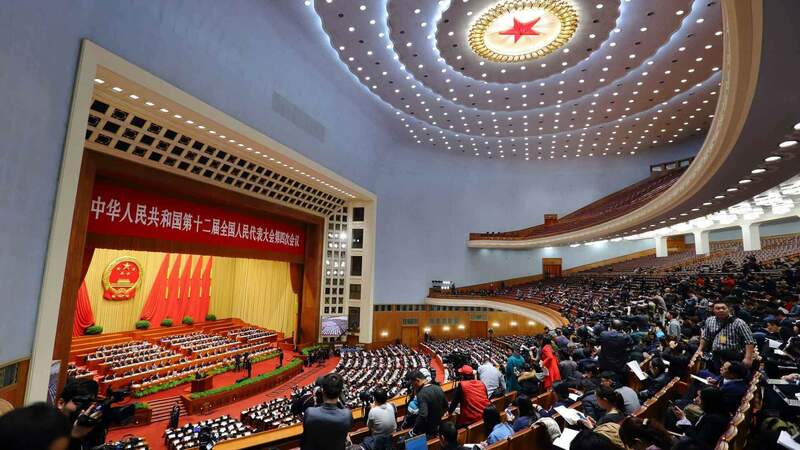 Every year, they dutifully turn up to the National People’s Congress along with local and national party chiefs, officials and chief executives. It’s where the big economic decisions are voted on – although no proposal is put forward which hasn’t already been agreed upon. Still, big CEOs come to show their commitment to the party, and to contribute to working papers that are meant to help the government understand the concerns of the business community. Being a member of the party is very much a networking opportunity – in the way one would join a business association. Elliott Zaagman argues that this is a system that demands loyalty. “There is no separation from the party and the state,” he says. The worry is that these close links mean that if the Communist Party asked a company to do something, they would have no choice but to comply. And if that company is one that is involved in sensitive global telecoms infrastructure projects, it’s easy to see why Western observers would be worried. 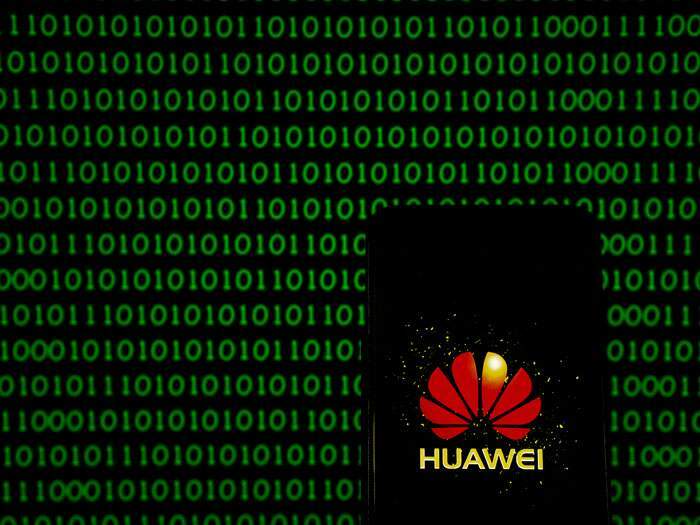 There is no evidence to indicate that Huawei is in any way under the orders of the Chinese government, or that Beijing has any plans to dictate business plans and strategy at Huawei – particularly when it comes to spying. But the way in which the Chinese Communist Party has robustly defended Huawei has raised questions about how independent the company is of its influence. For example, Beijing stated that Ms Meng’s detention was a rights abuse . And while her extradition case to the US was moving forward, China detained two Canadian citizens and accused them of stealing state secrets. 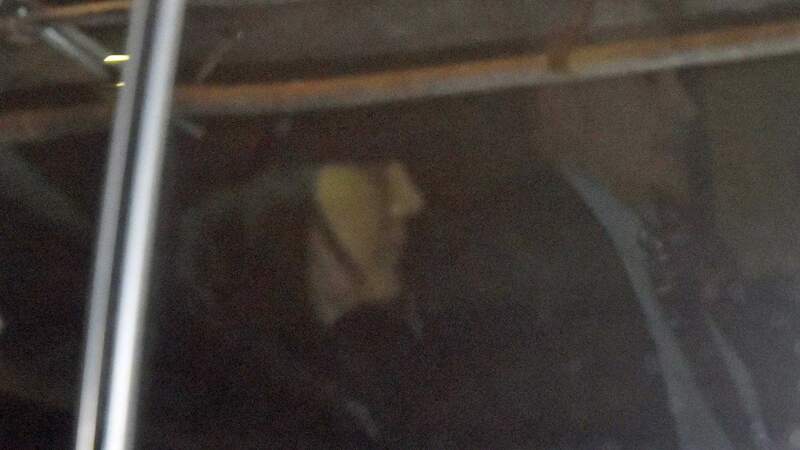 Critics say the detentions are linked to Ms Meng’s arrest. While not commenting on the arrest of the Canadians, Ren says China’s defence of Huawei is understandable. Over the past few years, there have been signs of a bigger push by the government to get private companies, and in particular tech firms, to cooperate with party rules – even when they are firmly resistant. 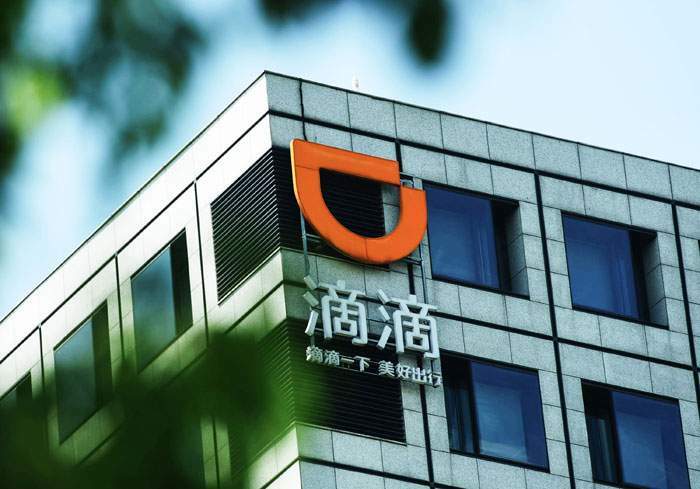 China’s ride-hailing giant Didi Chuxing’s troubles are an example of the struggles Chinese firms face when they try to uphold their independence in the face of government pressure. 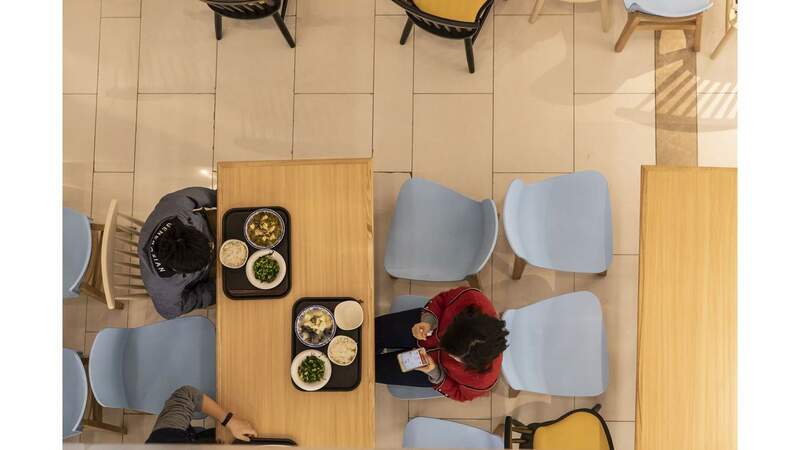 Chinese attitudes to data collection and data privacy are different to those in the West – many people don’t care if businesses have access to their data, arguing that it adds to the convenience of life and work. So it wasn’t unusual when, after the murders of two of its passengers by Didi drivers, regulators used the scandal to force Didi to share more corporate data with the government. But Didi resisted – citing customer privacy. Under Chinese law, it had no choice but to comply. When it did, it handed over “three boxes of data printed on paper, including 95 hard copies for authorities to review”. 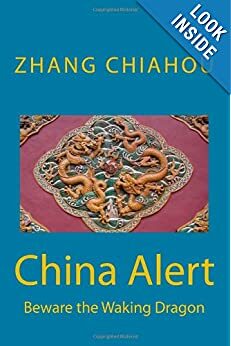 According to Samm Sacks of the Center for Strategic and International Studies (CSIS), the case demonstrates that “government access to data in China is not the free-for-all that many outside China assume it to be”. She says this indicates that there appears to be “a kind of tug of war between the government and companies over data”. How this plays out will determine how Chinese companies are viewed by foreign governments when they do business overseas. Companies like Huawei have grown up in a system where to survive and thrive they needed strong links to the Chinese government – there was and is no other choice. But these links could harm their reputation abroad. Zhu Peiying, head of Huawei’s 5G wireless labs, is showing off devices that can connect to the new technology. From a smart toothbrush that collects data about how well you brush your teeth, to a smart cup that reminds you when you should drink some water, this is a world where everything you can think of is being measured and analysed. At its most sophisticated, everything in entire cities would be connected – driverless cars, the temperature of buildings, the speed of public transport – the list is endless. 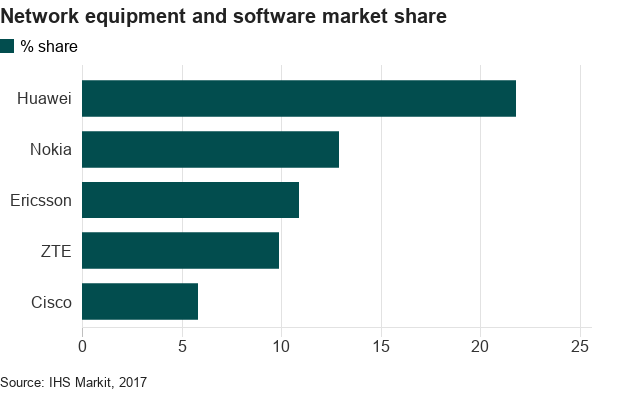 Huawei is thought to be a year ahead of its competitors in terms of its technological expertise and what it can offer customers, according to industry sources. It’s also thought that the company can offer prices that are about 10% cheaper than its competitors, although critics claim this is because of state support. Ren dismisses this, saying that Huawei doesn’t receive government subsidies. He says the real reason behind the US resistance to Huawei is its superior technology. 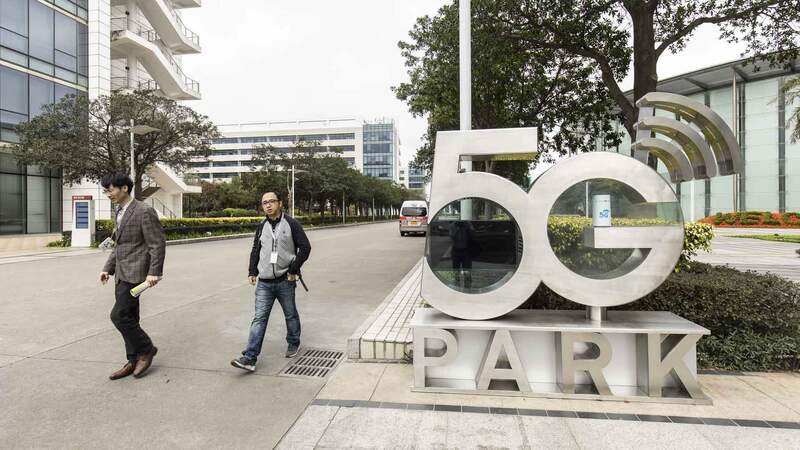 Many analysts say that Huawei’s exclusion from US networks could actually cause the US to fall behind in its 5G capabilities. What this would mean in reality is a world of two internets – or what analysts are calling a “digital iron curtain” – dividing the world into parts that do business with Chinese companies like Huawei, and those that don’t. 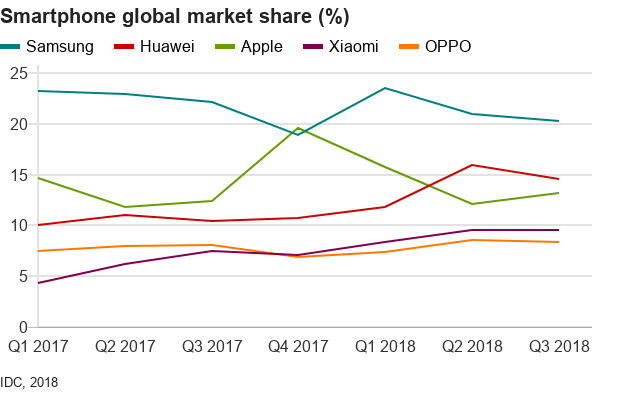 Because of US pressure on its allies, Huawei has been on an aggressive public relations campaign to win over customers and government stakeholders. In recent days, Vodafone’s boss Nick Read called on the US to share any evidence it has about Huawei, while Andrus Ansip, the European Commission’s vice president for the digital single market, said in a tweet that he had met with Huawei’s rotating CEO to discuss the importance of being open and transparent, as they explored ways of working together. But suspicions about Huawei remain. 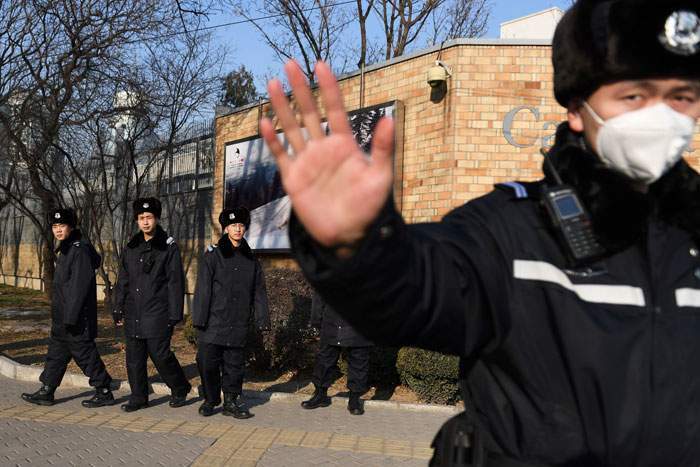 One security firm reports a sharp rise in inquiries by Asian government clients about Huawei. “Some have asked us how much they should worry about whether Huawei is really a liability,” says an analyst who consults to Asian governments, on condition of anonymity. Ren is sanguine about such concerns. But this is about more than just one company or one CEO and his family. Increasingly, this is perceived as a battle between two world orders, and which one is the future. 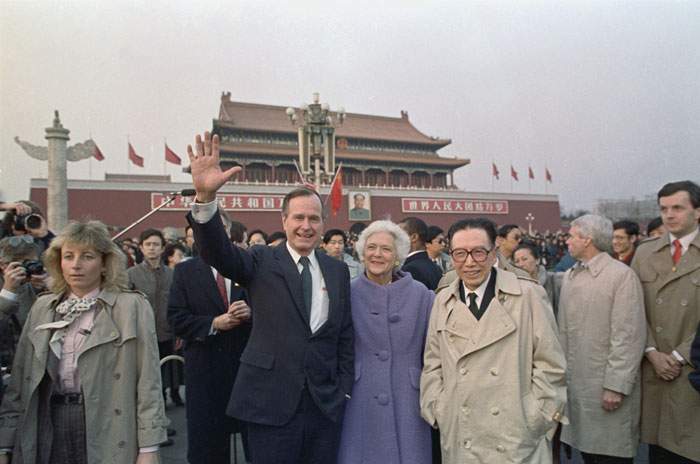 In the early days of China opening up, US presidents like George HW Bush espoused the merits of engagement. Previous US administrations believed that economic engagement in China would lead to China following a freer, more “liberal” path. There’s no denying China has made remarkable strides in the past 40 years. The economy grew by an annual average of 10% for three decades, helping to lift 800 million people out of poverty. It is now the second-largest economy in the world, only surpassed by the US. Some estimates put China’s economy ahead of America’s by 2030. 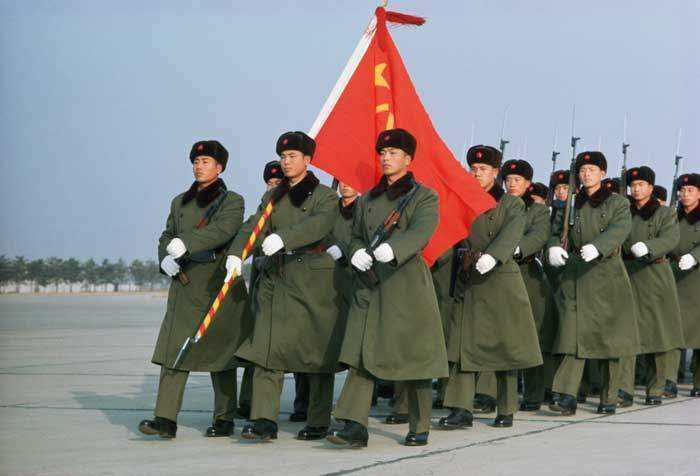 It achieved this while maintaining one-party rule and the supremacy of the Communist Party. But its success has raised concerns that it is only possible with a huge amount of government control over the country’s companies. The fear is that control could be used to achieve the Communist Party’s goals – which are at this point unclear. Added to this, China has become more authoritarian under Xi Jinping’s rule. “Xi is systematically undermining virtually every feature that made China so distinct and helped it work so well in the past,” writes Jonathan Tepperman, editor in chief of Foreign Policy. But Ren dismisses this, insisting that China is more open than ever before. Still, Ren is hopeful of the direction China will take in the future. In one of Huawei’s vast campus sites across Shenzen, lies a man-made lake. Swimming in these serene waters are two black swans. There is a story that Ren put the birds here to remind employees of “black swan” events – unpredictable and catastrophic financial eventualities that are impossible to prepare for. He dismisses this as an urban myth, but it’s hard not to read something into it. For Huawei, and Ren, these are highly uncertain times with no way of telling what lies ahead. BEIJING (Reuters) – China must be on guard against “black swan” risks while fending off “grey rhino” events, President Xi Jinping said on Monday, adding that the economy faces deep and complicated changes, state news agency Xinhua reported. A “black swan” event refers to an unforeseen occurrence that typically has extreme consequences, while a “grey rhino” is a highly obvious yet ignored threat. Xi’s warning came after the release of data on Monday showed the economy posted the slowest growth in 28 years last year, hurt by faltering domestic demand and bruising U.S. tariffs. Local governments and state organizations should find a balance between stabilizing growth and fending off risks, controlling the pace and intensity of such policies, Xi said in remarks during a meeting with provincial and department officials. Sliding growth had pressured the government to roll out more stimulus to avert a sharper slowdown. The central bank has cut the reserve requirement ratio for banks five times in the past year. 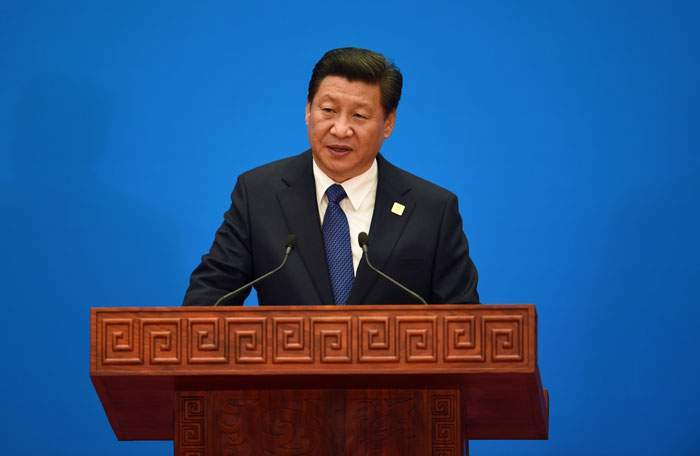 Economic operations would be maintained within a reasonable range, Xi said, adding financing difficulties of small businesses will be resolved pragmatically while authorities would also step up support for companies to stabilise jobs. Zombie firms – companies with a lot of debt – would be dissolved properly and resettlement of workers would be taken care of accordingly, Xi added. 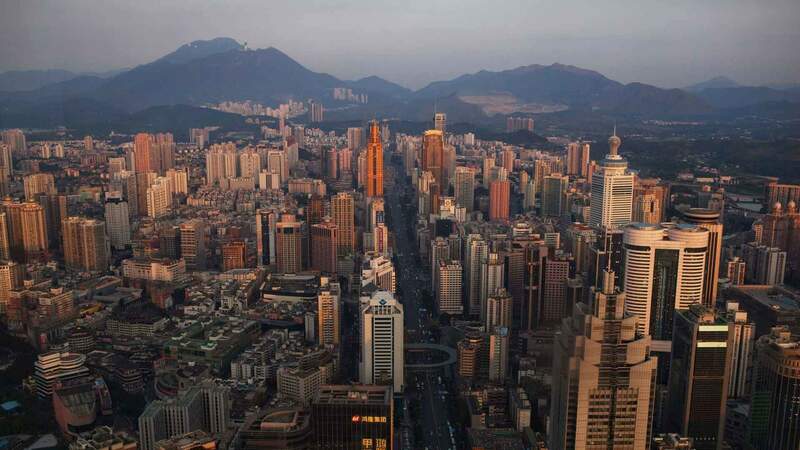 China would implement long-term mechanisms that support the stable and healthy development of the property market, while making thorough evaluation of the potential impact on financial markets when drafting policies, according to Xi, who did not elaborate. He emphasized that technology safety was an important part of national security and the country will accelerate legislation in artificial intelligence, gene editing, autonomous vehicles and drones. Faced with complicated and difficult external environment, China would step up the protection of its overseas interests while making sure of the safety of major overseas projects and their personnel, Xi said. Meng Wanzhou, the chief financial officer of Chinese telecommunication giant Huawei HWT.UL was arrested last month in Canada on a U.S. extradition request. 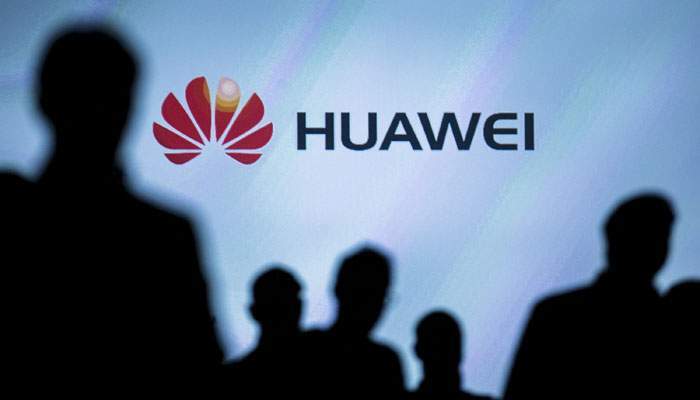 Western intelligence agencies have for years raised concerns about Huawei’s ties to China’s government and the possibility its equipment could be used for espionage.